Barbra Rabson is the President and CEO of the Massachusetts Health Quality Partners (MHQP). Under Barbra’s leadership since 1998, MHQP has become one of the most trusted names in performance measurement and public reporting of health care information in Massachusetts and in the nation. She has led MHQP to issue three first in the nation statewide public releases of hospital and physician performance information, including the first in the nation collaboration with Consumer Reports to jointly release performance results on MA primary care physicians on a statewide patient experience survey. Barbra is a member of the MA Executive Office of Health and Human Services Quality Measure Alignment Task Force and Quality Subcommittee. She is also a founding member and past Board Chair of the Network for Regional Healthcare Improvement (NRHI), a national network of regional health improvement collaboratives. Barbra received her Masters in Public Health from Yale University and her undergraduate degree from Brandeis University. She enjoys sculling on the Charles River and playing her cello in her free time. Andrew joined MHQP in 2018. His early career was in banking, first in retail and then managing treasury operations for a mid-sized bond portfolio. After leaving the banking industry, Andrew worked as a Senior Program Manager at Partners Healthcare International, both developing and managing capacity building projects in the Middle East, South Asia, and Southern Europe. Andrew also serves in his town government as Vice Chairman of the Planning Board. Outside of work Andrew enjoys spending time with his wife and children, primarily shuttling between their myriad sporting events. He also writes music and plays with a small collective of musicians. Andrew received a BA in History at Connecticut College. Jim Courtemanche joined the MHQP in 2015. As Vice President of Programs and Analytics, Mr. Courtemanche works closely with MHQP staff, external workgroup members and the MHQP Board to define and design projects and ensure methodological and operational integrity through all phases of the project. He is also responsible for the development of analytic platforms and applications to support MHQP’s mission, strategic goals, and project objectives. 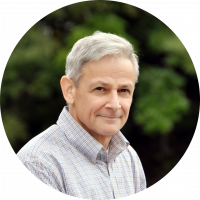 Jim has over 30 years of experience in healthcare analytics in both provider and insurance settings. Most recently, Jim held analytic leadership positions at the Lowell General Physician Hospital Organization and Steward Health Care Network, directing teams that analyzed and reported cost and utilization performance metrics. During Jim’s sixteen years at Tufts Health Plan, he supported Senior Product enrollment and payment, Medicare risk adjustment programs, Medicare Part D implementation and analytics and provider risk contract financial reconciliation. Outside of MHQP, Jim regularly performs with the Boston Symphony Orchestra and Boston Pops as a member of the Tanglewood Festival Chorus. Jim received an A.B in Biology from Harvard College and an S.M in Health Policy and Management from the Harvard T.H. Chan School of Public Health. Janet Flaherty joined MHQP in 2007. As the Senior Director of Finance and Accounting, Janet is responsible for the MHQP budget development and accounting operations, and supports business development activity. Janet has over 25 years of experience in accounting and finance. Prior to joining MHQP, Janet spent 10 years as a Financial Analyst for Millipore Corporation responsible for financial analysis for a worldwide sales division. Prior to Millipore Corporation, Janet worked at Ernst & Young in public accounting, performing audits for industries such as manufacturing, real estate, and healthcare, and becoming certified as a C.P.A. Janet received a Master’s in Business Administration from Babson F.W. Olin Graduate School of Business, and a Bachelor’s degree in Accounting from Boston College. In her free time she enjoys spending time walking with her family. Jason Leistikow joined MHQP in 2008. As the Senior IT Analyst/Developer, he is responsible for developing and managing the information systems used to support MHQP’s operations. In addition to serving as MHQP’s principal database administrator, he is a key contributor to our report generation and data analytics. Jason also manages MHQP’s Massachusetts Provider Database and oversees several MHQP-affiliated websites such as mhqp.org and healthcarecompassma.org. 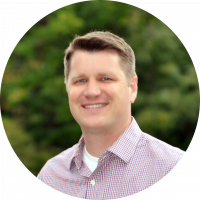 Jason brings over 20 years of experience in data analytics and design. 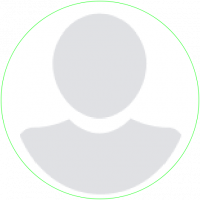 Prior to joining MHQP, Jason was an Applications Developer for the State Street Corporation in Boston. At this organization, he was responsible for creating and maintaining systems used to improve operating efficiencies within the organization. Previously, Jason was a Programmer/Analyst for the Picker Institute, a Boston-based nonprofit organization that reported on the quality of patient-centered care in Massachusetts. Jason received a Bachelor of Business Administration with a focus on Management Information Systems from the University of Wisconsin-Milwaukee. In his free time he enjoys photography, spending time with his wife and two kids, and as a native of Wisconsin, he is an avid cheese enthusiast. Natalya Martins joined MHQP in 2016 to support MHQP’s work in the patient engagement arena. As a Project Specialist, her responsibilities include coordinating the day-to-day activities of the public program survey measurement and reporting. She also collaborates on MHQP’s clinical guidelines for preventive care and works closely with MHQP’s Consumer Health Council. 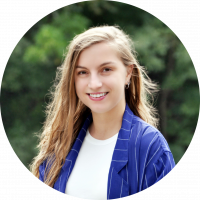 Prior to joining MHQP, Natalya conducted research for the Department of Exercise Science at Skidmore College and interned for the Legal Department at Liberty Mutual where she transposed and organized Electronic Stored Information (ESI) for the company’s electronic discovery requests. Natalya received a B.Sc. in Health & Exercise Science from Skidmore College in May 2016 and is currently an MPH candidate at Simmons University. In her free time she enjoys running along the Charles River and drawing. Nathalie McIntosh joined MHQP in October of 2017. As Director of Programs. Nathalie is responsible for planning, coordinating and overseeing the day-to-day activities of the public program survey measurement and reporting. Prior to joining MHQP, Nathalie was a Senior Project Manager at the Center for Healthcare Organization and Implementation Research (CHOIR) at VA Boston Healthcare System, where she managed research projects focused on understanding and improving healthcare delivery, and patient outcomes and experiences. Nathalie received a Ph.D. in Public Health (Health Policy and Management) from Boston University, and an M.Sc. in Genetic Counseling, an M.Sc. in Molecular Biology, and a B.Sc. in Biology (Human Genetics) from McGill University. In her free time she enjoys hiking in the White Mountains. Raji Rajan joined MHQP in 2015 as Senior Programming Manager. She has over 18 years of experience in the finance and banking industry, developing reporting and application integrations for various business’s needs. Prior to MHQP, Raji worked as a Business Intelligence Developer at Boston Private Bank, with lead role in managing data warehouses and reporting needs. 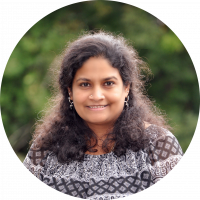 Raji also worked as a Senior Software Engineer at Fidelity Investments, where she developed and supported voice response applications and reporting, and as a SAS programmer at Parexel International. Raji received a Master’s in Business Administration from Clark University, a Master’s in Applied Statistics from Worcester Polytechnic Institute, and a bachelor’s in economics from Stella Maris College, India. She enjoys cooking a range of international cuisines with her husband and watching movies with her family. Jonathan began working with MHQP in 2017 as a communications consultant and has since joined the staff part-time as MHQP’s Director of Communications. He leads all of MHQP communications activities, including brand management, outgoing messaging, content development, and public relations. Prior to coming to MHQP, Jonathan served for five years as the Senior Director of Marketing, Communications and Technology for the National Institute for Children’s Health Quality (NICHQ) and ten years as the Vice President of Marketing and Communications for the Institute for Healthcare Improvement (IHI). Prior to that, he was Director of Communications for Harvard Pilgrim Health Care (HPHC) and Harvard Community Health Plan (HCHP). He received an MBA from the Yale School of Management and a BA from Oberlin College. Amy Stern joined MHQP in November, 2014. As the Senior Project Manager for Patient Experience Surveys, Dr. Stern is responsible for planning, coordinating, and overseeing the day-to-day activities of the MHQP Annual Statewide Patient Experience Survey Program, as well as supporting efforts to expand in new undertakings and ways to enhance and expand offerings. 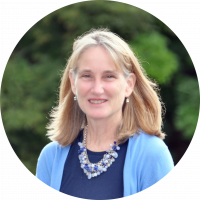 Prior to joining MHQP, Amy served as Research Manager at the Center for the Evaluation of Value and Risk in Health (CEVR) at Tufts Medical Center where she played an integral role in its growth and development since its inception in 2006. She was responsible for managing and overseeing all aspects of the Center’s infrastructure, including both administrative operations and senior management components. Amy has over 20 years of experience in developing, implementing, directing and managing health service research projects related to access to health care; consumer perceptions of acute, ambulatory and long-term care settings; and consumer satisfaction and quality assessment of adult day care. Amy received a PhD in Gerontology at the University of Massachusetts Boston, a MA in Gerontology from the University of Pennsylvania and her BS in Human Development and Family Studies from Cornell University. She enjoys cycling, cooking, and loves the beach. Ola joined MHQP in 2019. As project manager, Ola leads qualitative research projects to understand the experiences and input of stakeholders from across the healthcare system. To her work, Ola brings a commitment to health equity and addressing unjust disparities in access to health and healthcare. With this lens, Ola strives consistently to listen to and lift up the expertise of people with lived experience. This commitment has enabled her to engage in domestic and international qualitative research, including projects on problem gambling prevention in Massachusetts, accessibility issues faced by people with disabilities in Ghana, and the narratives of parents of youth with disabilities living in the United States. Most recently, Ola worked at EDC (Education Development Center) on substance use prevention initiatives. Having completed her higher education at Boston College, Ola received a master’s degree in applied developmental and educational psychology and a bachelor’s degree in psychology. Outside of MHQP, Ola enjoys spending as much time as possible in the outdoors. Hong Chang, Ph.D, works with MHQP as a statistical consultant. He advises MHQP and assists with implementation on statistical methodologies related to MHQP’s Patient Experience Survey and Clinical Quality measurement programs. He is an assistant professor of Medicine at Tufts Medical School and statistician for Biostatistics, Epidemiology, and Research Design Center (BERD) at the Tufts Center for Clinical and Translational Science Institute. Hong holds a Ph.D. and MA in statistics from the University of Connecticut, Storrs, and a BS in management information systems at Qsinghua University, Beijing. 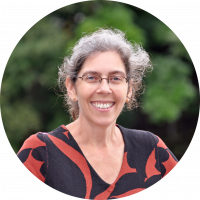 Ruth Okin has worked with MHQP as a consultant since 2014. She works in the finance and accounting department as a payment specialist. In this role, she tracks spending and provides support for budgeting and accounting reports. Ruth has over 30 years of business management experience and works with a variety of clients with support tailored to their unique needs. She holds an MBA from the D’Amore-McKim School of Business at Northeastern University and a BS in communications from Boston University. She enjoys artistic endeavors including creating collages and mosaics, and doing plein air drawing. Brian Patrolia has worked with MHQP as a consultant since 2014, and previous to that worked for MHQP since 2004. He brings over 25 years experience in the IT field to MHQP, specializing in healthcare quality improvement and reporting and analytic system planning, design and implementation. Prior to joining MHQP, Brian was Director of Information Technology and Senior Programmer for the Picker Institute, a Senior Programmer for Harvard Pilgrim Healthcare, and has worked as an independent consultant to the Institute for Healthcare Improvement and the Centers for Medicare and Medicaid Services. Brian holds a Bachelor’s degree in Management Information Systems from the University of Massachusetts. 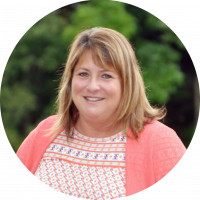 Janet Peluso has worked as a consultant for MHQP since early 2016. Prior to that, Ms. Peluso served as MHQP’s Vice President of Finance and Contracting. Janet provides senior advisory services to MHQP in the areas of contracting, business planning and financial management. She has over 25 years of experience in a variety of settings, including non-profits, medical groups, and managed care/insurance companies. Janet has a Master’s in Business Administration from The Wharton School of Business and a Bachelor’s in Accounting and Health Systems Management from the University of Connecticut. William Rogers, Ph.D, has worked with MHQP as a statistical consultant since 2006. He advises MHQP on the development and implementation of quality measurement and results analysis for both the Patient Experience Survey and Clinical Quality measurement programs. he has over 40 years experience as a health services research statistician. He also consults with Blue Cross Blue Shield of MA and the Institute for Health Care Research and Policy Studies at Tufts Medical Center, and is an adjunct professor at Tufts University School of Medicine and Brown University. He holds a Ph.D. in statistics from Stanford University, and an AB from Princeton University. Robert Rosofsky has worked with MHQP since 2008. Robert works to improve patient care and public health through the effective use of information systems. He has been developing and implementing health information systems for over three decades in both the public sector and as an independent consultant. He brings together an expansive understanding of the public health and health care sectors and offers services in project management, systems analysis, and SAS development. 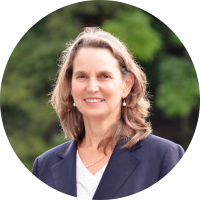 Prior to her recent transition to a consultant role, Jan Singer worked for MHQP as the Senior Advisor for Program Innovations since 2003. She brings over 30 years of experience in health care program development, management and research. Before joining MHQP, she has held positions at Fallon Community Health Plan, the Health Policy Center of Brandeis University, and Blue Cross and Blue Shield of Massachusetts. Jan received a Master’s degree in Public Health from Harvard University and a Master’s in Sociology from Boston College. Her undergraduate degree is from the University of Maryland.